From its frontage to the A474, the site rises gently to the west to a low ridge. In the broad valley landscape between Neath and the watershed above Rhos, the site does not occupy a prominent position which draws the eye. 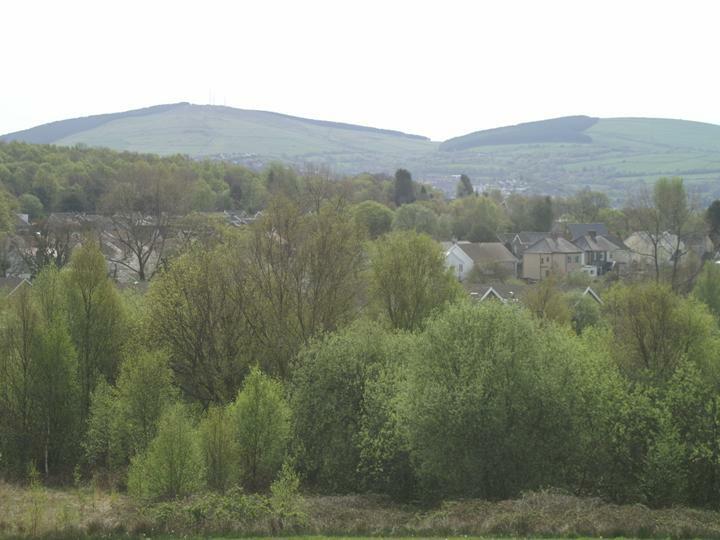 The development of the site for housing would not materially harm the landscape setting of Neath, nor would it intrude harmfully into the landscape of the Clydach valley. Because of the flatness of the valley base, the ridge is actually quite significant. We have undertaken a GPS survey of the ridge and of the village. The top of the ridge stands some 43 feet above the junction of main road and Furzeland Drive, 50 feet above the junction of main road and Elias Drive, and over 60 feet above the junction of main road and Neath Road at the top of Pen-y-Wern hill. This of course, is without the 30 feet of a house build and roof aerials above that. Click on the photo to see it full size. 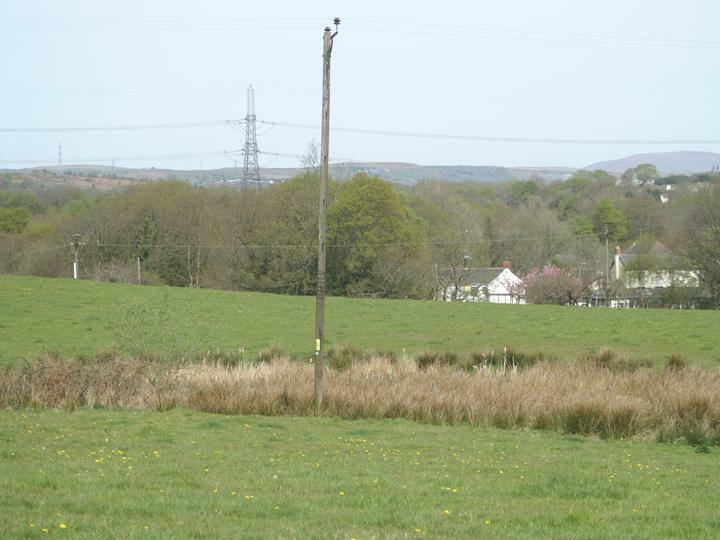 This photo, taken from ground level, shows the view from the site over the pond and Dyffryn Arms toward Fforest Goch and Rhos. the hills at the skyline are on the other side of the Swansea Valley. This photo shows a view over the village and beyond Neath to the mountains above Cimla and Briton Ferry. photograph also taken from ground level. Do you think building here would not harm the landscape of the Clydach Valley?